What can I say, we’ve had some of the best weather this fall in Miami that I’ve seen in a long time. Typically in October and November the weather patterns are inconsistent, but this years it’s been mostly sunny skies and light winds. Fall fishing is all about patterns and transition. We have the biggest tides of the year bringing in more water into Miami’s Biscayne Bay and all over South Florida. Bigger tides and more water means fish are going to be more spread out. I’m typically referring to bone fish. Although the bone fishing can still be great, at times the water levels stay so high that your mainly seeing them on the lowest parts of the tides. 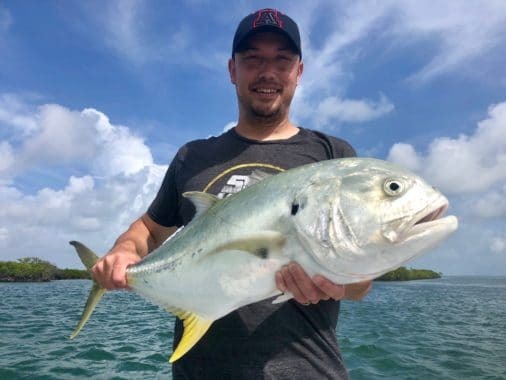 Permit fishing still remains hot, and the larger tides bring more permit into Biscayne Bay. One of my favorite things to do in October and November is bait fish with live bait. The fall is about the only time of year I look forward to bait fishing, because there is so much bait around because of the fall bait migration. Everything starts to show up from the beaches off South Beach to South Biscayne Bay. We are catching Tarpon, Snook, Big jacks, Large Mangrove and Mutton snappers. You can pretty much catch anything this time of year. 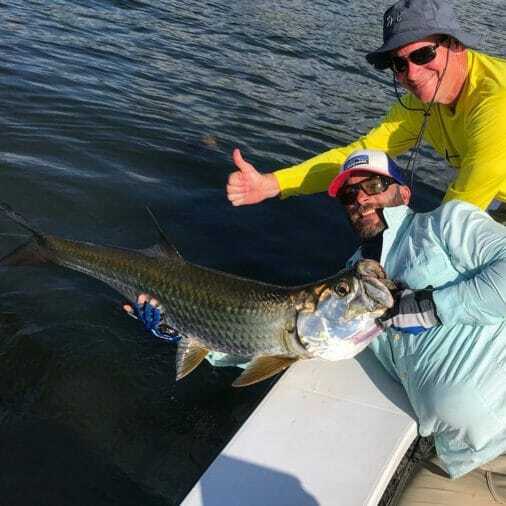 Perfect size fall tarpon chasing bait schools. We just added another boat to our fleet and now we have a custom Billfish Boatworks 24 bay boat. This will be our go to boat for inshore and near shore fishing especially now for Fall and winter. We will be able to accommodate up to four anglers, but three will be best. And offering half and full day trips. Please check the Charter Info page for pricing on the Skiff and Bay Boat. 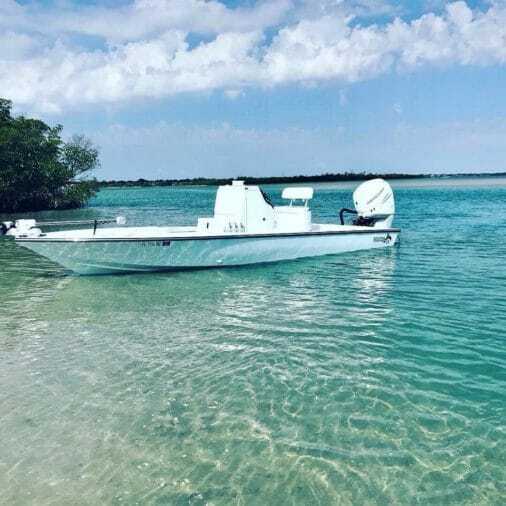 For all you die hard fly and spin fisherman, don’t worry fishing off the skiff is still our go to boat for everyday sight fishing or shallow water back country fishing. For you snow birds, we are having great weather with air temperatures still in the mid to high 80’s. Now is a great time to get to Miami and go fishing. I also wanted to add, that please don’t listen to whats going on in the media about Florida’s water quality. This is in a very small area in central Florida on the West Coast. 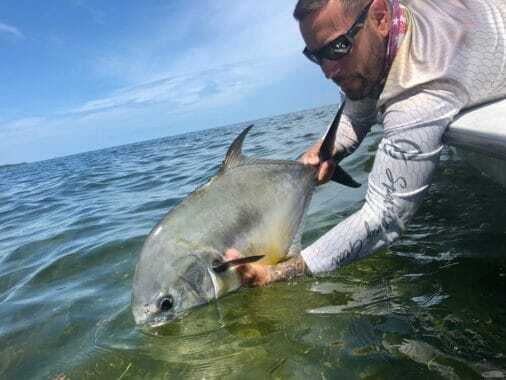 South Florida is having some of the best fishing Iv’e seen in quite some time. Our water in Miami is gin clear and there is nothing going on from Miami to Key west. So please, don’t hesitate to come down and fish.